An infographic I recently stumbled across stated that “reading one hour per day in your chosen field will make you an international expert in 7 years.” Now, I don’t know if that’s true, but it certainly motivates me to put down my smartphone and pick up a book. To drive my reading behaviour, I use carrots and sticks. I think about the rewards, weigh up the consequences, and set myself goals. One way to drive my active reading is to write reviews about books in my field. Writing book reviews offers a chance to keep up to date with current scholarship in my field, develop my comprehension and analytical skills, and publish work that demonstrates my engagement with a specialised area of research. Often, writing a book review for an academic journal also means receiving a free copy of the book (but sadly, not always). This post is targeted at postgraduate and early career researchers who are looking to review a non-fiction book for an academic journal. My first book review was unplanned. I was conducting fieldwork in Brazil and picked up The Power of Place during a rare visit to an English language bookstore. I loved the book so much, I wrote about it to encourage other people to read it. I was fortunate to have senior colleagues who kindly proofread my review and gave me useful feedback. The Journal of Anthropology and Medicine peer-reviewed my unsolicited review for publication in 2009. I did not know then that my review of The Power of Place would frequently become my most downloaded article on academia.edu even some 7 years later (though I’m not sure how to interpret that statistic). I am deeply appreciative of your carefully considered review and especially so because your global experiences inform an unusually insightful commentary. After publishing my first book review, I received invitations from editors of other journals to review books relevant to my research. This was particularly helpful in my postdoctoral research where reviewing books was a way to fast-track my engagement with a new topic of research. Furthermore, I was able to capitalise upon time that would have otherwise been wasted (such as waiting at bus stops or sitting/standing on trains). Catching public transport to work in Sydney means I spend about 12 .5 hours a week on buses and trains. If the carriage isn’t too packed, I can use this time to read and reflect upon my area of research. When I started postdoctoral research on tuberculosis I needed to get up to speed on the latest social science research on infectious disease and demonstrate my critical engagement with the literature. Reading and reviewing academic books for peer-reviewed journals afforded me that opportunity, and as a bonus, this also meant that I received free books. Writing a book review is a chance to improve your understanding of a particular field of research, to add a publication to your CV, and demonstrate expertise in a field. Additionally, summarising and evaluating a book will expand your skillset as well as offer an opportunity to network with senior colleagues. Sharing your book review with the author, for example, is an excuse to make contact and establish rapport. Also, potential employers might read your book review as it might say something about your ability for critical thought and effective communication in an eloquent and diplomatic manner. An academic book review serves to bring a work of non-fiction to the attention of colleagues in the field. Generally only recently published books are reviewed. Occasionally historical texts are reviewed, such as An Essay on the Principle of Population, which was reviewed in Nature by Professor Roger Short on the 200th anniversary of its original publication. Academic book reviews are often read by a knowledgeable audience. For those who haven’t had time to read the book, the review is often a really handy resource. A good book review will help specialists in the field decide whether or not they should read the book. Book reviews inform readers about the actual contents of the book, specify the central focus, outline its main contents, indicate its precise usefulness, and outline the significance of the book and the theoretical and methodological questions it might raise. Reviewers should develop an argued and critical response to the book and situate it within the historiography of the field. For those who may have already read the book, the review is often a useful refresher as well as a great way to critically reflect upon the content. 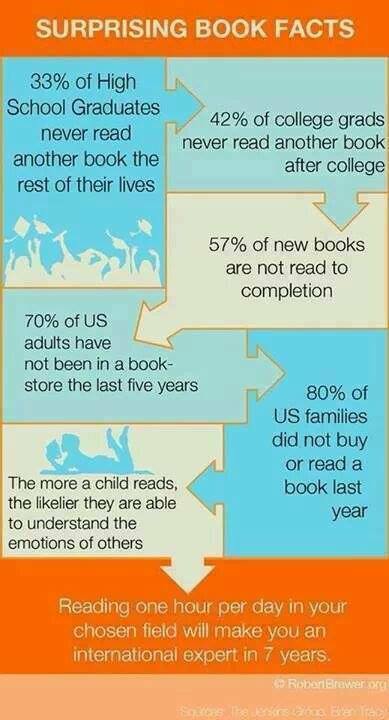 How long does it take you to read a book? How long does it take you to write a review? If you accept an invitation to write a book review, the journal editor will specify how long you have before you have to submit your review. Generally, they give the reviewer around two or three months. This may seem like a generous amount of time but don’t dilly daddle. Non-fiction takes longer to read than fiction and the content may challenge you in unexpected ways. Start reading the book as soon as you receive it and make sure you mark interesting quotes and your reflections along the way. I might be slow, but it generally takes me anywhere up to an hour to read maybe 10,000 words (a fairly standard chapter size for books in my field) and then a day or two to write up the review. Each person is different. Know thy reading and writing speed. Plan ahead. Only select journals accept unsolicited reviews. Many journals have a book reviews editor. If you’re interested in writing reviews on a particular area of research, it is worth writing to a couple of book reviews editors to let them know your interests. Some journals publish a list of books received. Make sure you consult the most recent list of books received and check the new lists regularly. Be proactive, take initiative, and contact the book reviews editor or the journal editor to express your interest in reviewing a book. This can be to indicate your general interest in reviewing books, e.g. “I am interested in reviewing any forthcoming books on tuberculosis”, or to indicate interest in reviewing a particular book, “I am interested in reviewing Free Market Tuberculosis by Erin Koch.” Approach editors one at a time (i.e. don’t contact two editors from different journals at once to ask to review the same book—asking to do a book review and then having to cancel on your request will only frustrate time-poor journal editors). What is the general topic of study? What contribution does the book make to a particular field of study? What are the author’s key arguments? What audience is the book aimed at? i.e. Who is the book for? How is this book situated in a particular field of study? Does the book support or challenge existing scholarship in the field? How do the key arguments support or contradict existing scholarship? Also, keep a scrap piece of notepaper in the back of the book to write down ideas as you read. To prepare to write your book review, I recommend reading previous reviews of other books in the journal you are writing for to get a feel for the tenor of reviews this journal publishes as well as to understand formatting and style. You may also have a look to see if anyone else has reviewed the same book for other journals or online websites (e.g. blogs). Look at what others are saying about the book, because their review might alert you to themes you had missed, inspire you on how you wish to frame your review, or even give you an indication of the way the book has been received within a discipline. Most journals will have guidelines for book reviews. Some reviews are short (100-500 words), most reviews are between 800 and 1,500 words. Make sure you follow the guidelines on headings, references, footnotes and endnotes (some journals only allow you to reference the book you are reviewing, most journals do not use footnotes or endnotes for a book review). Think about your audience. Several reviews for the same book will look different depending on the journal in which they are published. Free Market Tuberculosis by Erin Koch, for example, has been reviewed in several journals including Medical Anthropology Quarterly, American Anthropologist, Women’s Studies: An inter-disciplinary journal, Global Public Health, and an online academic blog. Imagine, if you will, how a review of this book would have to be written for a scientific journal, an area studies journal, or a history of science journal. Each review has to cater to the readership of the website/journal in which it is published. g. The reliance on quantitative data is understandable given the author’s training and experience in mathematical modelling, but fails to address the qualitative dimensions of human experience. Try to offer a revealing point of view from which the book can be perceived critically. The structure of a book review is like any essay: Introduction, body of essay, and conclusion. There are two principal options for the organisation of the body of the review: (1) You can review the book chapter by chapter or (2) you can review the book thematically. Edited volumes can be lengthier and more heterogeneous (sometimes almost cacophonous). It is generally easier to review edited volumes chapter by chapter. Be charitable in your summary, taking the book on its own terms. Were there any memorable quotes worthy of sharing? When you voice your own analysis, criticisms and reservations, try to articulate these thoughts in a way that other professionals will find helpful. Pair your assertions with evidence. Make suggestions about how the argument might have been improved, how the selection of primary and secondary sources could have been more effective, or what other works might address the same topics in better ways. Book reviews are not a place to jump at every opportunity to reprimand an author over anything from incorrect citations to misplaced commas. A book review is not an excuse to demonstrate your intellectual superiority. Number one proofreading tip for book reviews: Try not to start every sentence with the author’s name or the title. As with any piece of writing, try to find someone else who can offer you their time to read your work. Try to be as open and receptive to their ideas without taking feedback personally. Creating an open, honest environment for someone to share their views and opinions of your writing is really helpful. Reading your own work with new eyes is difficult. However, make sure you do read your book review aloud before sending it to a journal. Also, you can use the search function in your word processing program to help you. Search for mistakes that you commonly make. My advice is to also search and rephrase expressions such as “It is”, “This is”, “There is”. For example, putting a noun between “This” and “is” makes the subject of a sentence clearer. Don’t overuse conjunctives. Be sparing with words such as “however”, “thus”, “therefore”, “conversely”, “similarly”, etc. There are lots of different formats for book reviews. For example, a review of a popular science book might be more narrative in style and be better published in a popular science magazine. A book review for a blog might be more relaxed than a book review for a peer-reviewed journal. Comparative reviews are another type of book review. A comparative review involves reviewing two books simultaneously. Occasionally, reviewers can even be asked to review more than two books at a time. A comparative book review is not about which book is better, but how two (or more) books speak to each other. What themes overlap? Where do they agree? How can different perspectives be reconciled? What are the respective contributions of each book? Finally, once your review is published, Tweet it, share it on facebook, put a self-archived copy on academia.edu and another on researchgate, and send a copy to the author. If you like the book, you might hope to collaborate with the author one day. Two authors whose books I reviewed ended up contributing to a journal symposium I collated for the Journal of Bioethical Inquiry. Another author kindly served as a peer-reviewer. Book reviews are a great opportunity to develop skills in comprehension, critical analysis, and writing. I strongly recommend postgraduates and early career researchers to have a go at reading and writing a review of a book in your field. I certainly have not adhered to a strict formula in writing book reviews. Links to my various book reviews can be found here.